When I was 8 years old I went on a trip to Cape Town for surgery on my cleft lip, we stayed at my great aunts home. 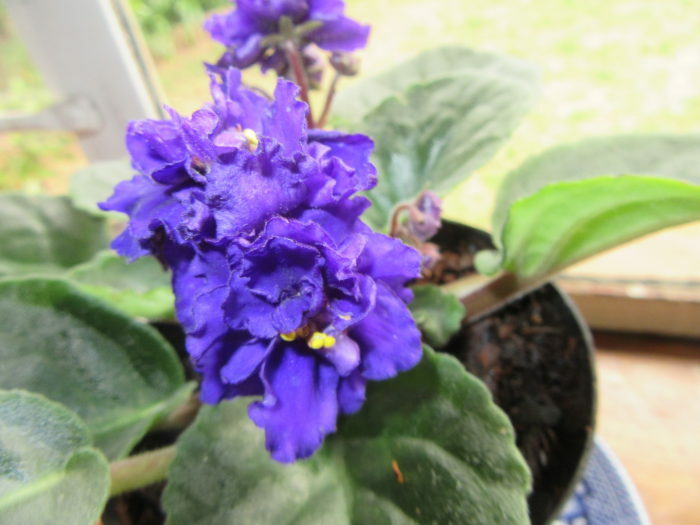 In one room she had many African Violet plants, with no flowers. During my stay I talked to those plants every day. When I left my aunt phoned my mother to tell her that the flowers were blooming like never before. We often hear how children should have pets to learn responsibility and empathy, nurturing a plant fosters the same outcomes. When we bought African Violets for the children 2 weeks ago, they were enchanted by my story of talking to the flowers and when they got home I heard them chatting to, praying over and playing piano and violin for the new family members. These plants were being showered with love. 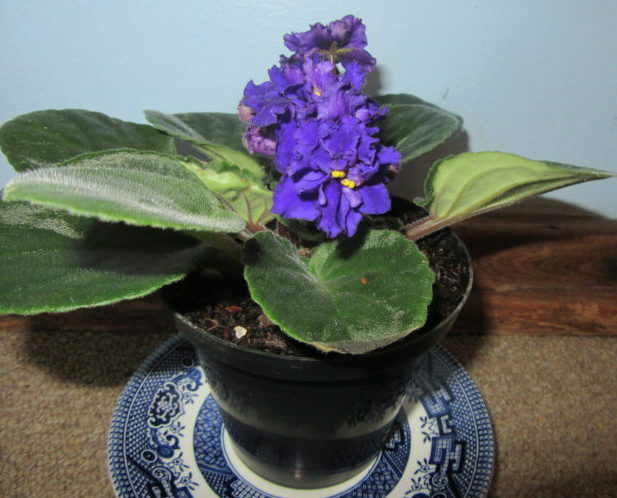 Sadly Fjord gave his so much love that he over watered it and within days it was dead. 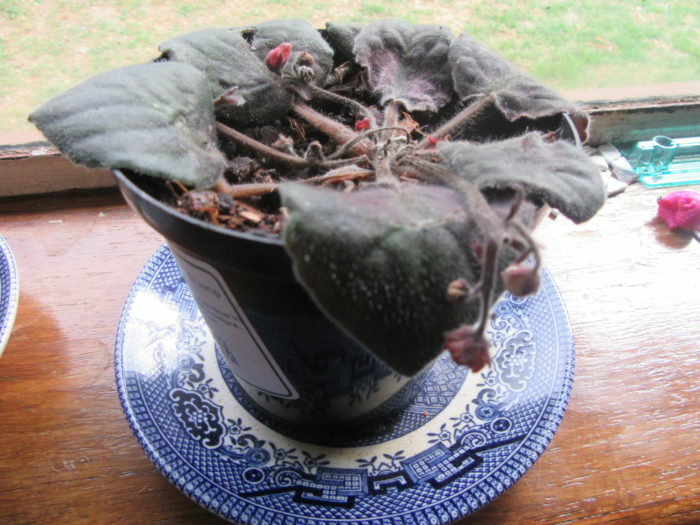 He sobbed on and off for over an hour when he realized that the plant would not recover. 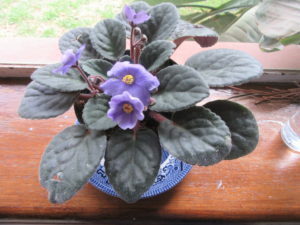 I sent text messages to Cliff sharing Fjord’s grief and on his way home from work, he bought Fjord a new African Violet. The one which died was pink, the new one is a deep rich purple. While Fjord was very grateful for the new plant I loved the fact that he still mourned the previous one, that shows to me a quality of spirit which is beautiful. He is still hoping that the clone of the dead plant (a leaf taken to grow from cutting), will thrive. They do not like to be in a draught. If we learn anything new I will add to the above. Of course now that these little plants have caught my attention I want to rush off and buy new ones in every available shade but I’ll hold back for now. If you have any tips to share, please comment below.